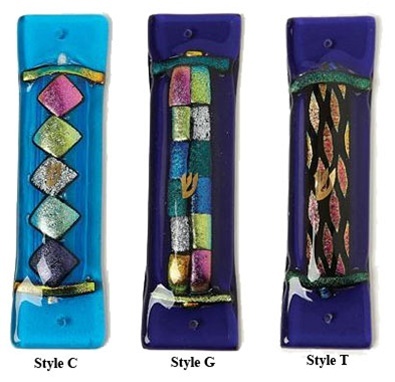 Beautiful fused glass Mezuzot designed by Tamara Baskin measure 5.5" long. Small parchment (Item #281) recommended. Parchment not included.